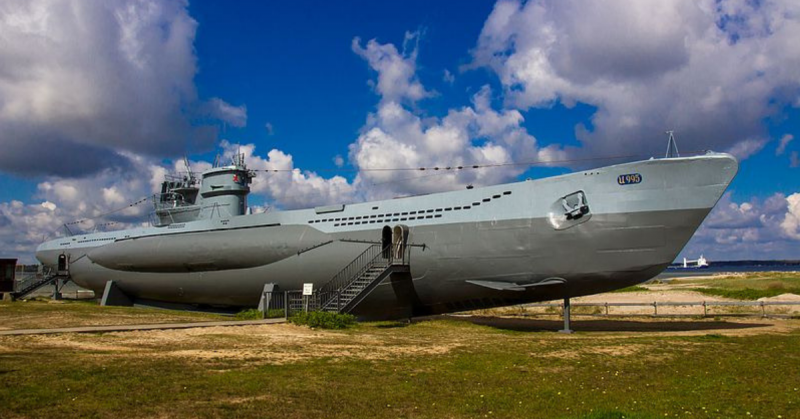 The German submarine U-995 began to be constructed on November 25, 1942 in Hamburg, Germany. She was commissioned on September 16 of the following year with Oberleutnant Walter Köhntopp as commanding officer. She was a German Type VIIC/41 U-boat of the Kriegsmarine. 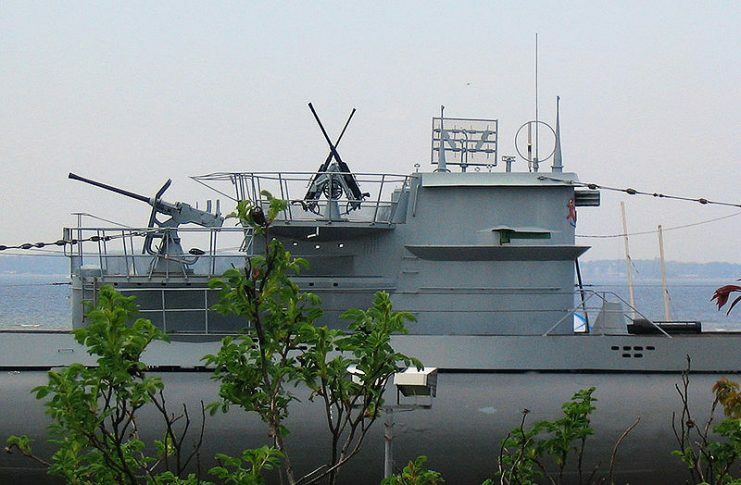 In terms of technological advancements, the Type VII was in the style of earlier German submarine designs dating back to the first world war, including Type UB III and the canceled Type UG. Other submarines that had contributed to the design prototype for the Type VII included the Finnish Vetehinen-class and Spanish Type E-1. 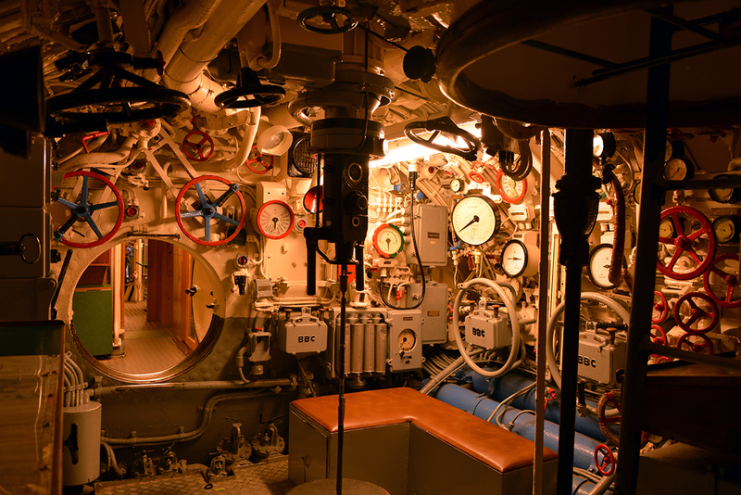 The Type VII submarine was the most widely used U-boat design of the war, and with 703 submarines built, it was the most produced submarine class in history. It was also the most numerous U-boat type involved in the Battle of the Atlantic. U-995 was involved in nine patrols during World War II. Its training patrol was from September 16, 1943 to May 31, 1944, with the 5th Flotilla. Afterwards, U-995‘s inaugural position was at the head of the 13th Flotilla from June 1, 1944 to February 28, 1945. Toward the end of the war, it completed its final three patrols as front boat, beginning on March 1, 1945 to May 8, 1945, with the 14th Flotilla. U-995 was also part of five wolfpacks in 1944, including Dachs from September 1-5, Zorn from September 26 to October 1, and Panther from October 16 to November 10. It closed out the year with Stier from December 11, 1944 to January 6, 1945. The final wolfpack that U-995 was involved in before the war ended in 1945 was Hagen, from March 17-21. U-995 was armed with a 3.7 cm Flak M42U gun on an LM 42U mount, which was the most common mount used with that kind of Flak weapon, and a pair of twin 20mm Flak 38 “Flakzwilling” mounts immediately adjacent to the 3.7 cm gun mount. The successes of U-995 were many, including three ships sunk with a combined tonnage of 1,560 gross register tonnage (GRT). It also sank a warship and an auxiliary warship, and rendered another ship a total loss. As the war ended, U-995 was stricken at Trondheim, Norway and ultimately surrendered to the British. Three years later, it was transferred to Norwegian ownership. In December of 1952, U-995 was renamed Kaura and served until 1965, when it was then stricken by the Royal Norwegian Navy. 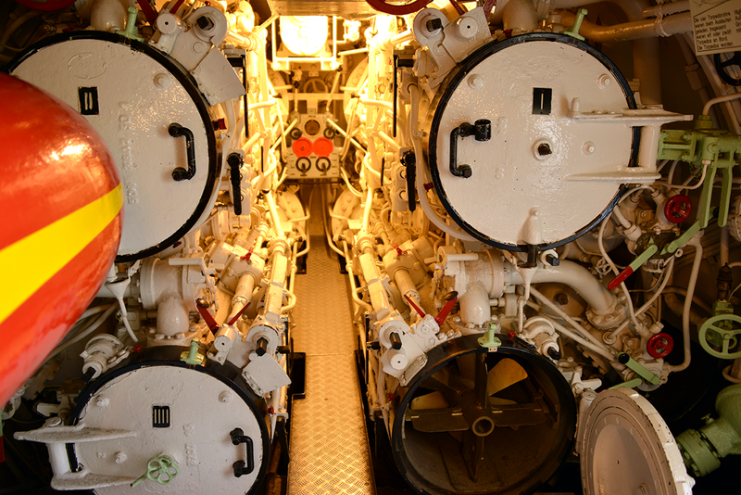 Norway sold the submarine back to Germany for one Deutsche Mark in 1971. 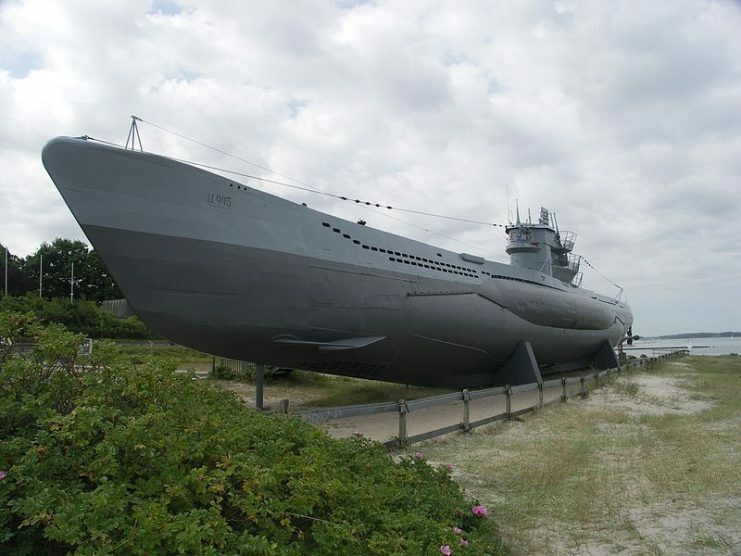 Its final destination was the Laboe Naval Memorial, where it serves as a museum ship.